The following review will provide you with the real facts about Colovexus 2 Stage Colon Cleanser. The manufacturer claims that the first stage of this product will assist with detoxing and cleansing your digestive system while the second stage will assist with also detox and then purify and replenish. 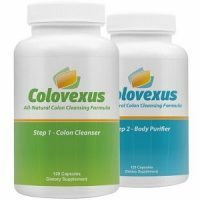 What’s In Colovexus Colon Cleanser? Magnesium is important for many body functions and developments. Psyllium husk is used to treat digestive issues such as constipation and works as a laxative. Glucomannan also helps to treat constipation by absorbing water and forming a bulky fiber. Senna leaf contains chemicals which influence the bowels to have a laxative effect. Fibersol 2 treats constipation and works as a laxative. Litesse is suggested to be beneficial for healthy bowel functions. Uva Ursi works as an anti-inflammatory and assists with urinary tract infections. Fennel seed is beneficial for digestive conditions as it has a relaxing effect on the colon. 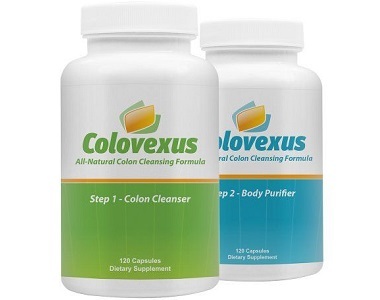 How Do You Use Colovexus Colon Cleanser? The manufacturer is not very clear on the recommended usage although step one suggests that one serving is three capsules and step two suggests that one serving is also three capsules. It is not recommended when or how these capsules should be taken. The manufacturer has also failed to provide any cautions regarding child use, use for pregnant or lactating women which is worrying. You can purchase this product online and directly from the manufacturer’s website. The cost listed for both bottles of this product, each containing 90 capsules which could be a one month supply, is $39.99. Unfortunately, there does not seem to be any kinds of discounted options available according to the manufacturer’s website. The manufacturer offers a 100% money back guarantee for this product although they will not refund any shipping and handling costs involved. They state that this guarantee is valid for one fully used bottle however, they do not suggest the time period that the guarantee is relevant for. This product does use some good ingredients which may be beneficial as a colon cleanse, and it is also has a 100% money back guarantee which could say that this is an ok product however, the dosage instructions are not at all clear which is worrying as it may lead to some digestive conditions if used incorrectly and therefore, it is inconvenient that you should rather use this product with the help of a healthcare practitioner. This product may also have allergen concerns based on the ingredients and the manufacturer has also failed to provide adequate cautions for children, pregnant, and lactating women. 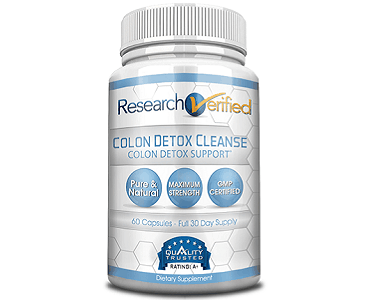 Based on all our findings, 2 Stage Colon Cleanse does not seem to have any superior characteristics in comparison to any other similar product and therefore, you may want to rather consider a product that is more suitable.